If you want to come to L’Echappée Belle without taking your car, sleeping in Aiguebelle is the best solution. The train station is only 200 meters from the arrival and shuttles will take you to the departure sites (learn more about shuttles). Once you are in Aiguebelle, everything is at walking distance. A camping area (unsupervised but free) is available in the Parc Rochette (arrival site) for your tents. A camping-car area is also available nearby, in the village. The gymnasium will be available for you to rest from around 9 pm on Thursday, August 30th (right after the pasta party). Mattresses will be displayed for your rest. For these 3 options, showers and toilets are available in the gymnasium. If you do not wish to camp, there is a few accommodations in Aiguebelle. If you have a car available there, here is the list of cottages and bed and breakfasts nearby on the Tourist Information website. You can also sleep in Vizille (departure site of the 144km), in Pleynet / Les 7 laux (departure site of the 85km) or in Allevard (departure site of the 57km). But this means that someone has come with you and will drive the car back to Aiguebelle. We wish to allow a maximum of participants to sleep close to the event. 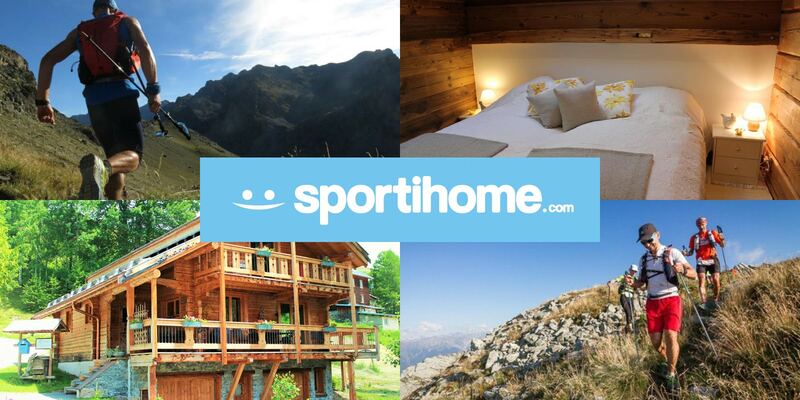 Sportihome.com, the sports accommodation platform, allows sports guests to host sports travelers. This solution allows you to share this experience with other enthusiast people. This couchsurfing system is of course complementary to the web of professional hosts, which we invite you to discover through the tourist information platforms. MANY THANKS TO ALL OUR PARTNERS.